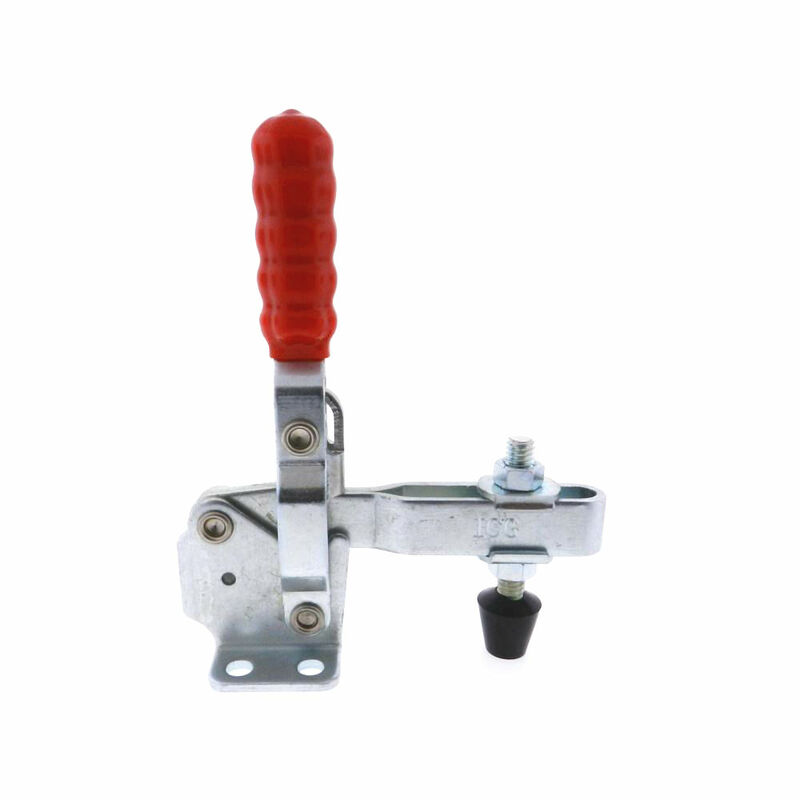 Request a quote for Vertical Toggle Clamps today. 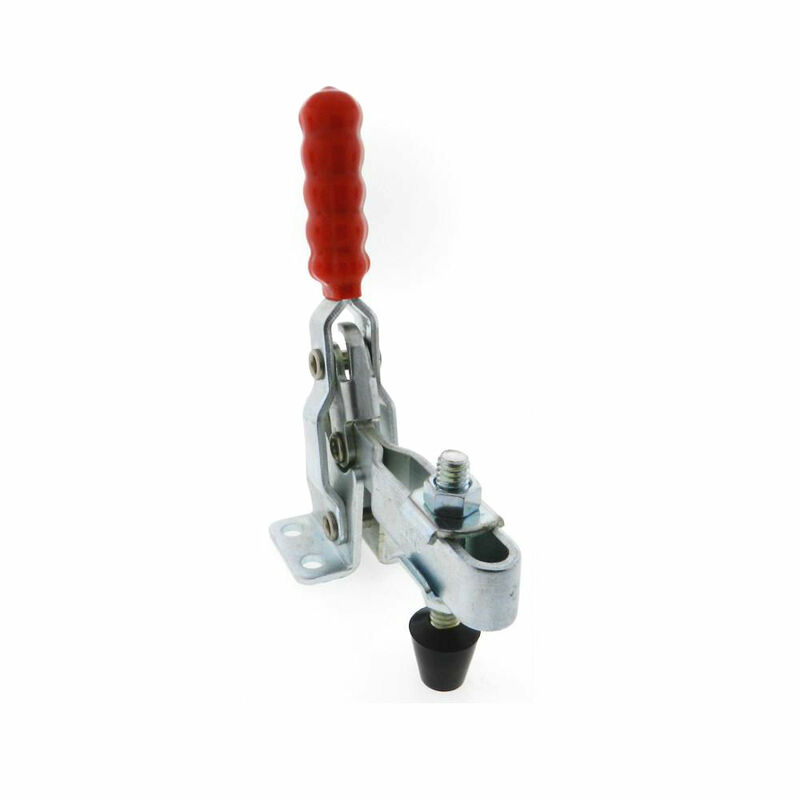 All of our vertical toggle clamps (also known as pneumatic clamps) are constructed from the highest quality steel, and are designed and engineered with operator safety in mind, by the elimination of pinch points which can cause injury. 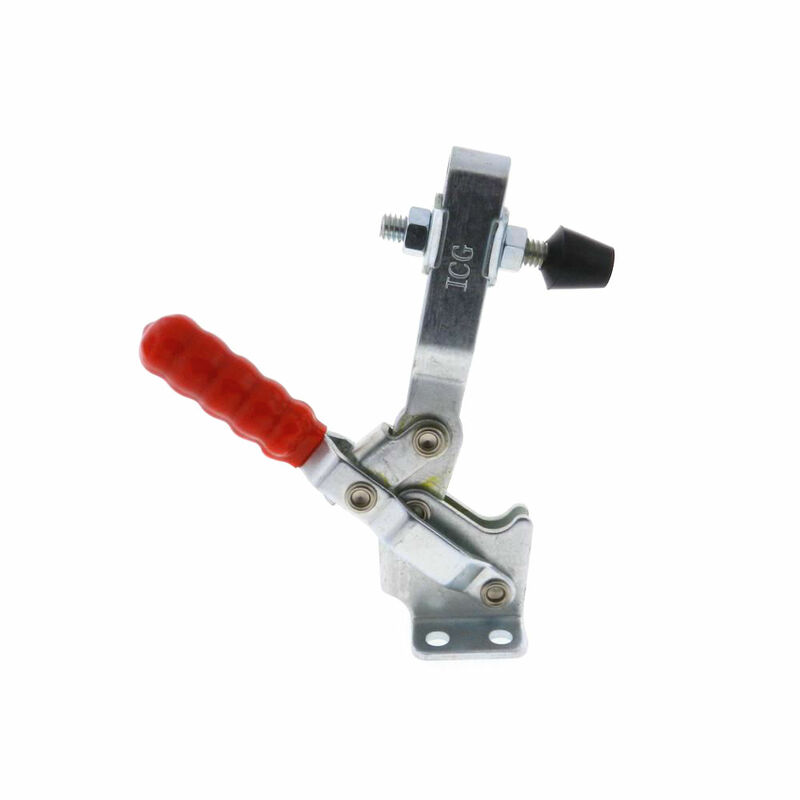 With the ergonomic vinyl coating we apply to every clamp handle, the operator can be assured that even in the slipperiest and oiliest of situations, positive clamp engagement and disengagement will occur without fail. Our vertical toggle clamps are excellent for a panoply of applications including wood working, mold making, barrel clamping, welding and more. To meet any and all project requirements, custom design and private labeling are available upon request. Contact a JBF National sales engineer today, to find out more.